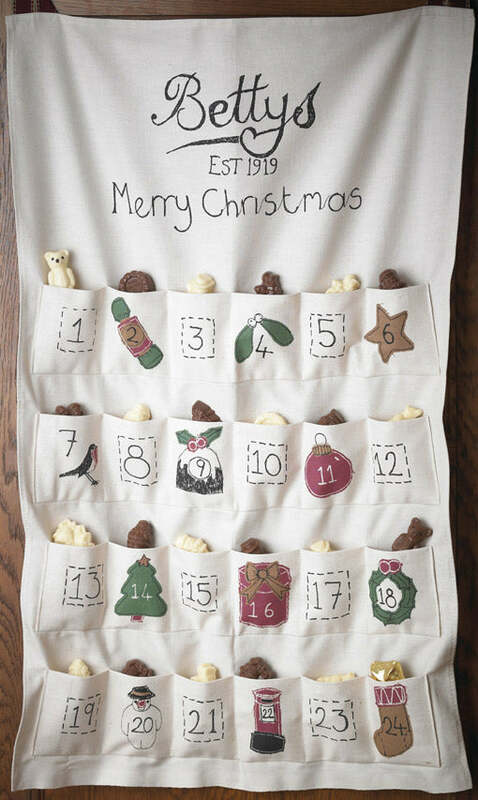 For the third year running, our beautiful handmade advent calendars are available at Bettys tea rooms, hurray! Stitched by us during those long, sunny August days (how quickly they become a distant, yet pleasant memory!) our advent calendars are a beautiful way to mark the advent countdown and you can fill the pockets will all sorts of little presents year after year. 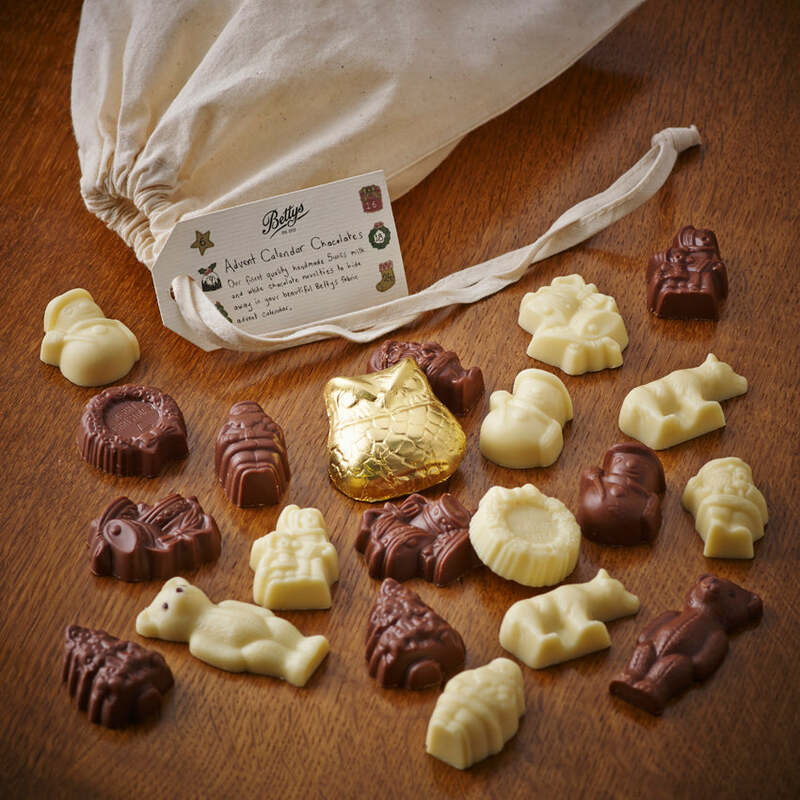 But the most exciting thing of all is when you buy the calendar from Bettys it comes packed with their delicious chocolates already - and we've road tested these chocolates, all in the name of duty, they are good! Enjoy!